Everyone likes puppy pictures! Here are photos of the puppies from our Spice-Bono litter (all gone!) just to fill in the space. 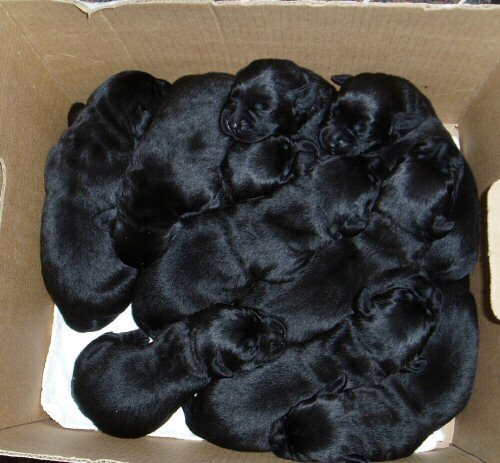 Bono x Spice puppies at 2 days. Bono x Spice puppies at 6 days. Bono x Spice puppies at 2 weeks. Bono x Spice puppies at 3 weeks.